Now that I don’t have Spotify, I’ve been forced to return to my expansive CD collection. One of those shiny, shiny discs, was a copy of Dire Straits 1985 album BROTHERS IN ARMS. It’s the band’s most famous, best-selling albums. I hadn’t heard it all the way through in a while and when I recently re-listened to it, I was astounded that the first three songs were all singles. The album’s also really long, the songs are lengthy but none of them feel overly long. That’s something that’s kinda lost in this age of ADD-riddled post-MTV age. Speaking of MTV, I’m still completely blown away by “Money For Nothing.” Talk about a song that wouldn’t work today, where to begin: I love that Sting is on this track. I love the sentiment, the commentary on music videos and the perception of being a musician. I love that guitar riff, man is that a million dollar riff! And the best part? That super-meta video with the primitive CGI. I feel so blessed to have had young parents that were into MTV during it’s initial hey-day. I remember seeing this video, not when it first came out mind you (I’m not THAT old), and being really wowed by the visuals. 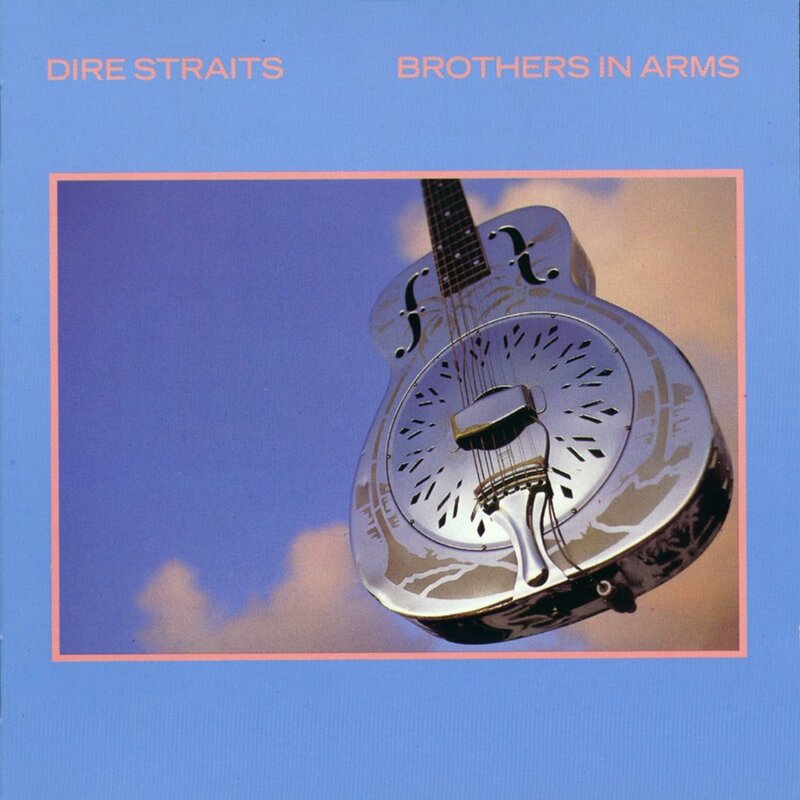 Mark Knopfler is such an amazing talent, I think I prefer his solo stuff to Dire Straits, but BROTHERS IN ARMS is a damn fine album. Yeah buddy, that’s his own hair.